Buyers Meeting Point provides no-nonsense coverage of the procurement industry - always with the needs of inquisitive practitioners in mind. 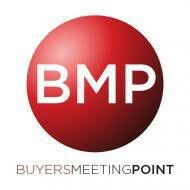 Buyers Meeting Point provides the procurement industry with an events calendar, blog, active social media network, and podcast, all of which are trusted sources of information for practitioners and solution providers alike. Buyers Meeting Point is owned, managed and edited by career procurement professional Kelly Barner.